Jonny? Not heard of him. YouTube link? Ah, that dude - yes his videos are awesome. I was watching his stuff before I was a Lotus owner, some of the only factual stuff on Lotus ownership out there. 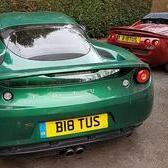 YouTube announcement yesterday, he has sold his Evora. Shame to hear from a lotus ambassador. The clip will make any potential buyers think twice.. I wonder what the replacement is? Put it to a poll? That's a surprise given all the nice things he's said about it. Hope he gets another Lotus. You should watch the video, he is still saying very nice things about the car, probably the best car for the money he could buy,. He's not as impressed with the factory finish of the car or the factory and dealer back up. as a (very) long term owner of Lotus' I agree with everything he has said. I agree that JCT600 should shoulder the blame for many of his issues. They knowing sold an early car and told him it was a brand new stock build... rather than sat around from 2015 until he bought it in 2016. As many have said (myself included) the mid 2016 cars took on a lot of improvement in quality etc, it was unfortunate that James wasn’t made aware of this. 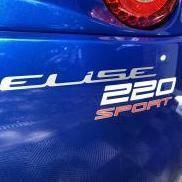 I know stories about Porsche Panamera, GT3 (RS) and the lovely McLarens which makes your Evora experience a dream. One of my customers owned a McLaren MC12 and drove it within one year maybe 3 times, a replacement given … no way. 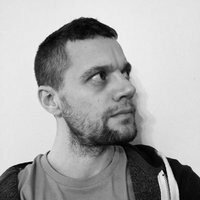 As frustrating as (some of) your experiences have been Jay, I have to say that none of them are (singularly or collectively) unique to Lotus. I note this was the first car you bought brand new - my first was a BMW Z4, and like you, I had a certain expectation of what the 'experience' should have been like. The long and short of it is that I had as many problems with the car (and the dealer that I bought it through) as you have had. Second new car - a Merc - similar situation. My expectations had dropped by the time I bought my third new car. And I'm glad that they had as it was a case of 'same sh*t / different day(s)'. I've never bought new since! 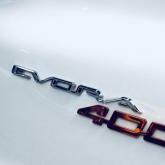 I now have a 2 year old Evora 400 and I really think it's a marvellous beast. Of course it has some niggles, but I remain seriously impressed that Lotus got that car out at that price point. Good luck with the Porker - it should be epic! Sorry to see you leave the Lotus ownership fold Jayemm. 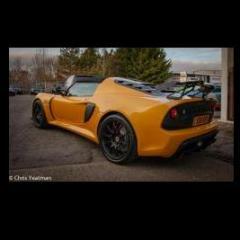 Whilst I love Lotus cars, I would never buy a new one for the reasons already mentioned. Sad you sold the car James but it’s gone to a good home. By all accounts Lotus now under Geely need to go through the dealers and put the broom through them based on customer feedback. Every time I get a my wife’s Volvo serviced here I get a survey from the main importers of Volvo and the dealers are monitored on the Feedback. Selling cars is one thing, but customer service, ensures customer loyalty, and return customer. I will put in plug for the Australian dealers Simply Sports Cars, Everyone I’ve spoken to is really impressed with their service and support. They organise a number of Lotus only track days each year, drive tours and run teams in Targa Tasmainia. Excellent hope you enjoy the car. 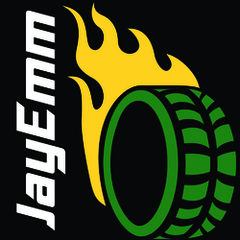 Jayemms video’s were very enjoyable. You are going to have to steer properly to stop my inner driving instructor going mental. Your going to have to steer properly to stop my inner driving instructor going mental. If Lotus Geely can model their approach to running an dealership, sales and servicing, as well as SSC in Sydney does, then the brand would probably have a 100% satisfaction rating. Such a group of enthusiastic and dedicated guys and girls there. @Alan H yeah that had me cringing too. Sorry Charlie. Nice car. Nice video Charlie. Good to see the car in the hands of another enthusiast. I'm looking forward to the continuing story. Oh, have to agree on the hands on the steering wheel thing. You have two hands, use them, that gear lever isn't for resting your 'spare' hand on! One of the benefits of driving an IPS, I can change gear with both hands on the steering wheel at all times. If you can make tea in 0.65 seconds you need to open a cafe! that gear lever isn't for resting your 'spare' hand on! It can damage the gearbox too if it's done too often and with too much force. I'm afraid not - I have no cup holders. The gearbox in the 400 Auto is pretty aggressive in sport mode and the delay between changes is definitely less than I could reliably achieve on a regular basis. This wasn't Jonny. He still has his. Maybe I misunderstood the post.